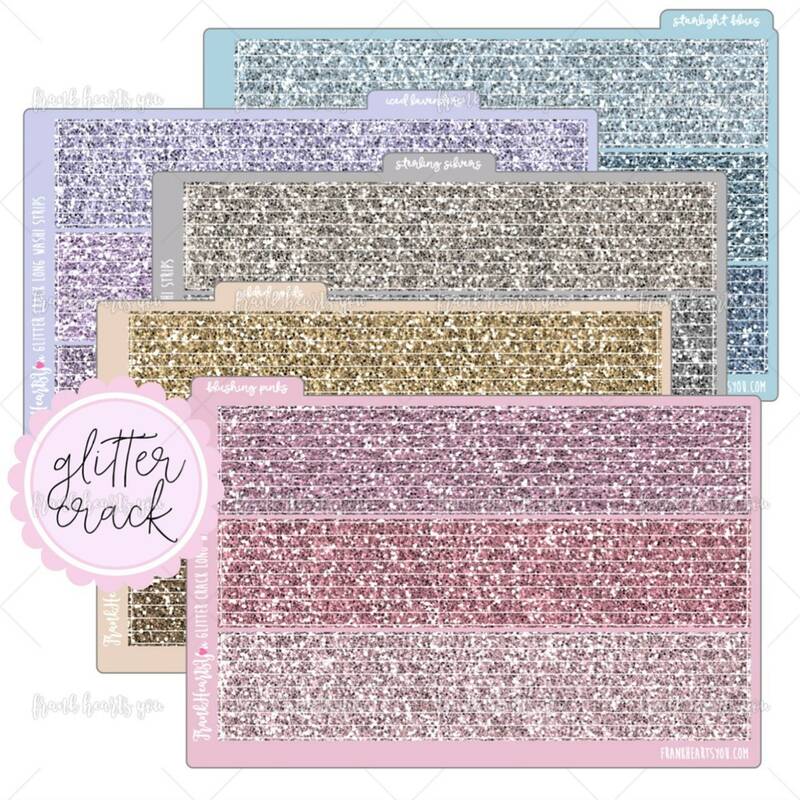 This is a glitter texture pattern! Pre-cut long thin "washi" style strips that fit in between the COLUMNS of EC Vertical boxes, or the header portion of the EC Horizontal. This listing is for the VINTAGE color combination. FIVE SHEETS total, 15 colors, 8 strips each. 120 strips. A la carte available! Please select the correct option from the dropdown menu. Just as described. Great colors and cut! As always!! Pretty colors, good quality, just cant stop admiring them.... can't stop and won't stop purchasing from this shop! !